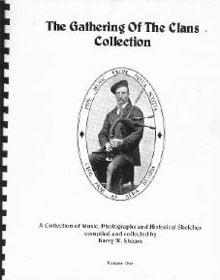 Collected, compiled and arranged by Barry Shears. In addition to the tunes, this one also goes into depth regarding the various piping families of the island. 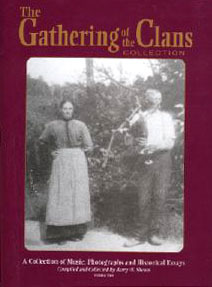 The Gathering Of The Clans is another fine book collected, compiled and arranged by Barry Shears. 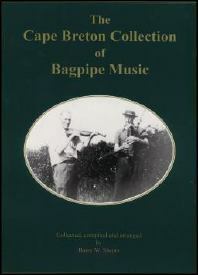 Simililar is style to the above Cape Breton Collection, in addition to the tunes this one also goes into depth regarding the various piping families of the island. This is Barry's 2nd book (of three). Like the others, it features both history and tunes and is complemented with photographs.